Orlando Pawn Shop - Godfather Pawn Blog! Are you looking for some great gift ideas for Dad at a very low price? 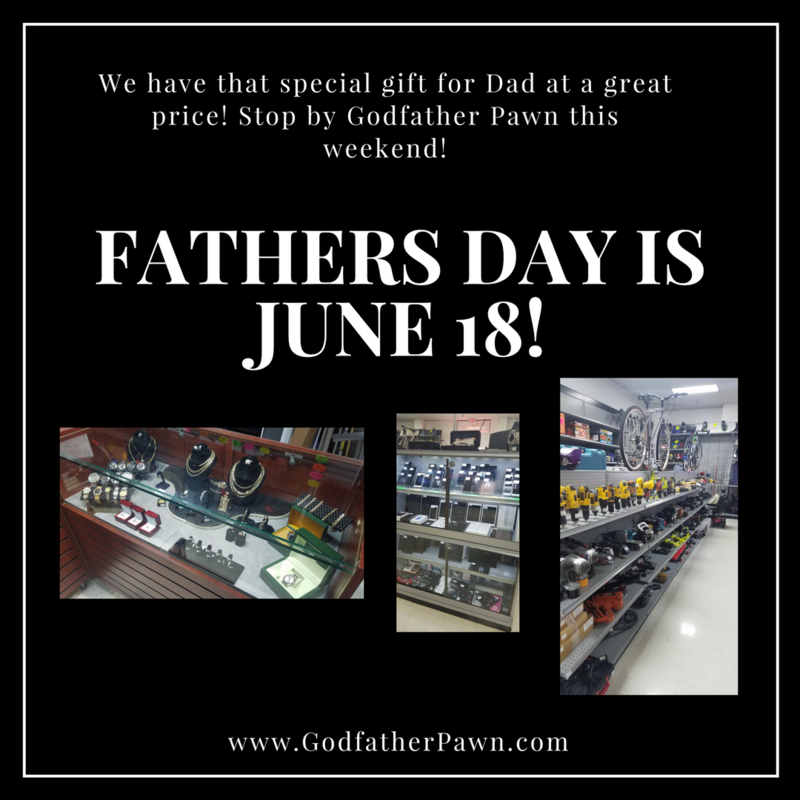 Come by Godfather Pawn - your favorite Orlando pawn shop. We have amazing deals on electronics, tools, sporting equipment and more. Do you need cash to buy a present for dad? Take advantage of our 10% pawn loans. Simpy bring in anything of value and we give you cash on the spot. You can pick it up when you have that cash, plus our 10% interest. Don't have the entire balance but don't want to lose the item? Just keep paying your interest every month and you will NEVER lose your item. We have prepared an Online Appraisal to get a Pawn Quote from comfort of your own home! For an online quote user our ONLINE APPRAISAL form.